With thirty-six prefectures excluding the capital of Konohagakure, the Greater Fire Country is home to many different peoples and places. Ranging from tropical rain-forest to large lakes and even a desert, exploring the Fire Country outside the walls and sphere of influence from Konoha can hold a world of adventure! The sinister Kami smirked, speaking in a voice that seemed to be layered with three voices. ’How unfortunate.’ the sadistic sister of the lgoddess spoke. ’I was hoping that the mortal would have perished in the blaze. It would've been a lot easier for him if he died here and be reborn into another life after living in Jigoku for a while. Such troublesome creatures.’ Unlike Ryoku's Kami who gave an protective aura, this Kami gave off an aura of dread that let the boy know that her days off being the protector of humans were done. Not only did the boy made the sin of even being born but his belief that he was somehow strong disgusted her. The pride this boy had was another sin and with fire as her sword she would smite the child of a already corrupted world in the name of there overlord Ina. She was Hope the Purifier and the sword of God. 'Wait… what are you planning to?...’ Kami originally wanted the boy to run so she could deal with Hope alone but from the stance he took Ryoku was about to actually attack her! She was about to tell him to run.. that she would take care of her… but he was already attacking and the Kami charged in to help the boy. Hope didn't feel a need to block the attack, she didn't have to defend herself against a low level being so she simply charged in allowing the boy to give her his best shot. However, what she didn't know was that although she was tough as nails she could be hurt so when the first round house kick came, it honestly felt like a mosquito bite and the second time when he came he unfortunately missed but this lead Hope to get a little cocky so when the third hit came it landed a rather critical blow that caught the god off guard although he missed about 5 of his 16 hit 10 at least landed and at least 2 had of those attacks landed a blow that Hope actually had to recover from. Possibly in fit of rage, she pushed out her palm at the boy as if she was attempting to hit him but he backed away then he suddenly feel as if one of his arms were smashed and broken instantly, causing great pain to the the child. She cast a illusion to make the boy feel as if his arm was broken before Hope coated her arm with intense blue flames to rush at the boy in an attempt at trying to end the child quickly. But right as Hope was about to stab the boy, her metallic flaming hand was blocked by the barrier of chakra created wings by her sister! 'KEK!’ The Kami screamed then the wings of protection turned into a rift in the air, showing a deep, seemingly infinite cosmic dimension as if gazing into the heart of a galaxy. Through this distorted air, intensely bright balls of energy are launched upon hope, each blazing like a comet with holy chakra rained down upon the Kami's sister before she attempted to cancel the wicked illusion casted by her sister. It was pretty low level enough to where she could cancel it but the battle was not yet over… Hope was through the hellfire of comets was coming at the duo at full speed. Ryoku looked back up at his opponent and saw her charging at him with a flaming fist and a murderous intent. She was moving too quickly and Ryoku’s window for recovery was long gone. That didn’t mean he was going to give up and let her kill him. He quickly leapt back up to his feet, but the distance between them was too small for him to effectively dodge in any direction. He couldn’t say that this was a disappointing way to go, but he was disappointed that he never got a chance to challenge Kenshin-sama to a battle. To test out everything he had learned. He didn’t feel ready at the time, but if he knew it would be the last chance he would have anyways. It was the friendly Kami’s wings again, forming a barrier to block Hope’s attack. “Wow, you sure are nice to have around,“ Ryoku said with an uneasy smile, his heart beating against the inside of his chest so hard that he could swear it was on the evil Kami’s side. With wide eyes, he watched as the friendly Kami conjured huge balls of light that she hurled at her sister. He almost let himself be distracted by the marvel, but he realized that he couldn’t sit back and remain dead weight. He realized that the corrupted Kami never made physical contact with him, yet his arm was somehow broken. That meant one of two things. Either this Kami had some powerful chakra control and crushed his arm with the sheer force of her ninjutsu, or she cast a genjutsu on him. Luckily, he knew a ninjutsu that would help him find out. “Kai!” he exclaimed somewhat softly to himself as he attempted to cancel whatever genjutsu might have been affecting him. Worst case scenario, nothing happened. Luckily, the pain was immediately relieved and his arm now appeared normal. He let out a small sigh of relief that his shot in the dark paid off, but when he looked back up, he saw that Hope had avoided the barrage of holy comets and was now heading straight for them. He needed to contribute to the fight, but the demonic goddess had shrugged off a large majority of his last barrage of attacks. He needed to use a move that packed more of a punch. A move that he wasn’t 100% comfortable with using yet, but one that could leave even the biggest and baddest of shinobi reeling. Especially if he could catch her off guard. He looked at her for just a second to see her response, but regardless of whether her words were of protest or encouragement, he would just give her a smile and do a hand sign, creating two basic clones beside him. The three Ryokus all took off back into the forest in separate directions. He knew that the evil kami specifically wanted him dead, so if she were going to pursue him, she had to guess the right one or risk being blindsided by her sister. He just hoped that she wouldn’t target him. It would make this a lot harder. He also hoped that she would assume that he was retreating from battle, like her sister wanted him to, because that would keep her from expecting his attack. The next problem came from the threat of the forest. He had to go deep enough into it so that he could effectively hide from Hope, but he couldn’t go deep enough to where he was at risk of falling prey to the forest’s genjutsu again. He had to find a sweet spot. There was a lot to consider and the stakes were high. This was the reason that Ryoku became a shinobi. If his attempt at stealth was successful, Ryoku would lie in wait silently, observing the Kami sisters and waiting for his chance to strike. The Kami, despite being in the hellfire of battle, had smiled at the child's complement. 'Always happy to help.’ she kept her response short for the bitter Hope had already recovered from her sisters attack, the hateful Hope coated her right hand in blue flames to attempt to pierce her sister's heart but the Kami avoided being impaled by her sister by coating her arms in holy chakra to block the force of the blow since Hope was a bit difficult to keep up with. While hopes fiery fist didn't impale the Kami she did landed a pretty good punch to the Kami's arms causing the Kami to wince from realizing her mortal body was more fragile than she originally thought. The blow pushing her a foot backwards, but the Kami then opened her palm to channel her holy chakra into a giant threatening spiraling sphere of sacred chakra then pushed her hand to her sisters solar plexus but Hope responded with creating a barrier of her own by covering herself I'm her own wings of pitch black shadows to minimize the damage. The Kami didn't know exactly what the child would he trying to do, but she needed to protect him then pray that whatever the boy did would actually work. She had to put her trust in the child. 'I’ll take care of her, whatever you have planned do it fast.’ the Kami said. When the boy produced clones of himself to try to confuse Hope she came up with an idea of her own, she weaved handseals of her own then made three elemental clones of herself as well, then on command the clones transformed into Ryoku through the transformation technique to add to Ryoku clone scatter. Hope was pretty furious that the child was resorting to hiding. . 'Hide all you want, you weak mortal. I will just have to vaporize my sister that YOU corrupted.’ the bitter goddess growled before coming at her own sister relentlessly since he seemed quite connected to her. Perhaps the walls and the dying breath of a Kami that put her trust in him would bring him out of hiding, or if he was running away then it just means that her sister will die for his sins. For all Hope knew her sister had helped the boy escape, that mistake would be pricey. Without mercy, Hope attacked her sister with intent to kill. Clasping both of her hands together, flames swarmed around the area that they were standing in a giant ball of fire hovered above Hope and the Kami preparing herself hand used her chakra wings yo cover herself before everything was bathed in a red light followed by an explosion from a deadly beam of heat. The Kami was okay from that attack but Hope didn't allow her sister to recover from the attack and followed up with another blast of heat that could've easily had vaporized a normal human and from what it looked like it hit the Kami head on followed by another red explosion! Dust, rocks, and Ash fell from the sky while smoke rose. A strange calm was over the battlefield but Ryoku was still see the shadow of his Kami in the smoke, but she didn't look too good… at all. But she still had the drive to fight. A smile of triumph made its way across Ryoku’s face as he discovered that his attempt at stealth was a success. He admired the Kami’s quick thinking of adding to his escape. She was clever. However, Hope was very displeased at this turn of events, spouting hypocritical words about her sister being corrupted. Her next actions made it clear that she was prepared to murder her own sibling. Ryoku marveled at what looked like a miniature sun that the corrupted Kami created, and at the miniature supernova that followed. He stood at a safe distance from the explosion, but he still had to guard his face from the sheer heat of it that reached him. The sleeves on his shirt were singed from it, but besides that he was unharmed. Unfortunately, the same couldn’t be said about his new friend. Through the dust kicked up from the explosions, Ryoku could see her silhouette. She was still standing, but her stance was not as powerful as before. She was hurt, but she hadn’t given up. This was the perfect time. Through the smoke, he could also see Hope’s silhouette. If he played this correctly, he could use the dust as a smoke screen to launch his surprise attack. Plus, if he didn’t act at that moment, his new friend’s life would be in danger. Hope did not seem quick to relent her assault, so he quickly moved through the wooded area surrounding the crater-made-battlefield to position himself in her blind spot. Then he launched himself towards her, quickly but quietly. As he approached her, he cocked his fist back and clenched it tightly enough that the veins on it began to protrude. As he channeled his chakra and everything he could muster into it, it started to glow a bright red and emanated a decent amount of heat. With all of his might, he launched his fist at Hope with the aim of her never becoming aware of his presence until the moment of contact. That way, she would be unable to defend against it or brace for impact, causing massive damage and knocking her off balance, allowing for Ryoku and the friendly Kami to follow up with more attacks before she was able to recover. ”You’re the one who’s corrupted,” he said to her, whether his attack was successful or not, a serious look replacing his typical goofy expression. The Kami was having a hard time with the high level justu that Hope was throwing at her, not even her barriers could block the assault from the constant blast but then she began to notice that Hope wasn't exactly recovering from the high leveled justu that she had thrown at her, the fire although very damaging didn't seem to burn through her barriers neither. This could only mean that Hope was not aligned with the forces of good anymore, no. Her hatred for the human race had changed the once great protector Hope allegiance from a holy spirit to Cursed simulator to how Ina's twin sister became a demon. A sad fate that most Kami end up becoming cursed themselves when they allow the darkness cloud over their minds. 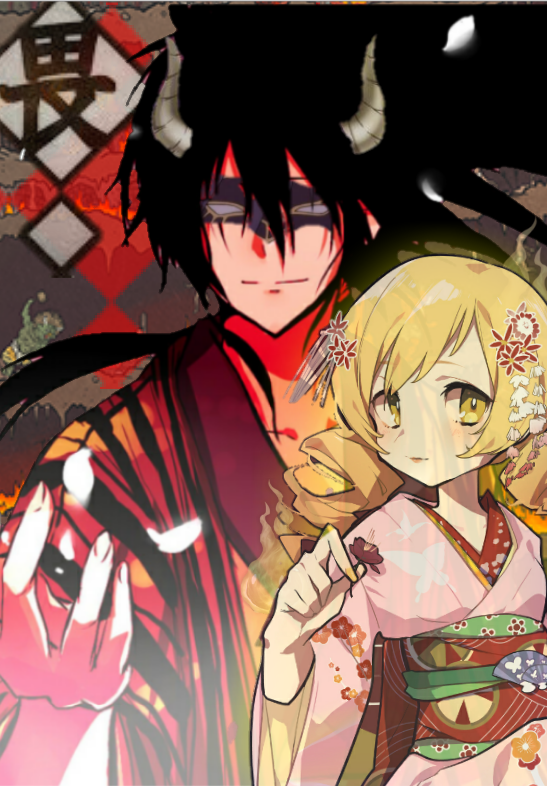 Now Hope had dropped to the ranks of being a Youkai and hadn't even realized it yet. Regardless, the Kami fought on for the sake of the humans. Hope began to make a hand seals then flames began swirl around her hand before she curled her fingers into a fist then punched at her sister sending a vaporizing beam at the Kami. Hope responded by casting a barrier which still wasn't strong enough to block it but it did minimize the damage, instead of keeping on the defensive the Kami raised both her hands to cause a small rift in reality to tear then white hands made of pure holy chakra extended towards Hope then the hands binded the corrupted Kami in place. Luck must have been on the Kami's side because the boy had returned landing a devistanting blow to the corrupted Kami which sent hope backwards at a respectable speed. Not want to waste another second, the Kami once the boy was safe began to fire another barrage of comets hoping that would be enough to finish Hope…. But as the smoke cleared and although Hope was injured she was still in good enough shape to fight. ”AHHHHHH-” Hopes battle cry was cut short when a lighting bolt seemingly ripped through the sky out of nowhere then struck hope down! The corrupted Kami fell on her stomach, wondering where or who the attack came from. Ryoku revealed a triumphant smile as his Falcon Punch made contact with Hope, knocking her back several meters with surprisingly high velocity. He noticed that his teammate was preparing to strike Hope before she recovered, summoning another barrage of comets to rain down upon her. Ryoku wanted to make sure she wouldn’t escape the barrage unharmed this time, so he did some hand seals and punched the ground, causing spires of earth to emerge from the ground, converging on Hope. In order to avoid them, she would have to jump up, forcing her into the comets. It appeared as though their attacks made full contact, but as the smoke cleared, Hope appeared to be able to continue fighting. Ryoku was surprised, but he would be lying if he said he was disappointed. This was the most exciting fight he had ever been a part of so he didn’t mind clashing with gods. However, both unfortunately and fortunately for Ryoku, Hope was struck down by a swift bolt of lightning that tore through the sky. “Yes, me.” Ina said as the clouds began to part to show a kingdom made of gold behind her. The goddess floated down from the golden clouds then elegantly landed where Hope laid defeated. The Kami wasn't exactly what you'd expect a overlord of all the Kami's to look like, she stood four feet in height and had the resemblance of that of an eight year old child. This small Kami has blondish colored hair, aqua green colored eyes and her hairstyle placed within a simple pigtail to the side, which only furthered the illusion of her childishness despite her attempts in seeming more adult. Her attire also consists of very frilly dresses, with her favorite being a pink colored dress, and what she wears to compliment her fashion sense tends to include scarfs, boots and bangles. Which provides her a very elegant yet adorable appearance due to her size. She also wears a rose like crown which is normally seen lopsided at the side of her head. As the bright light subsided, Ryoku could see a beautiful kingdom behind the clouds, and a wave of calm washed over him. This force did not mean him any harm. In fact, this “force” had the body of a prepubescent girl. Despite her stature, it was proven mere seconds ago that this kami packed quite a punch. And judging by the way that she spoke, she was pretty important among the Kami community. Possibly a queen or military general. It was hard to tell, but Ryoku felt that it was an honor to meet her. As the ogre-like demons emerged from a rift that Ina had opened, Ryoku looked on in pure amazement. This otherworldly power was amazing. Ina and Hera averted their gaze for a moment, causing Ryoku to question why until the two demons brutally ripped her wings from her body, causing her to screech in agony. As they carried her to the rift that they came from, the one with the Ox-like features met eyes with Ryoku. The vibe given off by the demon made Ryoku quite uncomfortable. As the demons stepped back through the portal, Ryoku caught a glimpse of their realm, and it was the polar opposite of the golden kingdom that Ina had come from. Just being exposed to it barely for a few seconds filled him with dread. Hope was going to live in suffering for all of eternity. Ryoku couldn’t help but pity her. But her actions lead to her own fate. Ina giggled, putting her hands behind her back she gave the duo a sweet smile innocent smile. ”No objections, I'll allow you to teach the young mortal and watch over him if you choose to do so. He seems worthy enough and I trust he won't corrupt you right?” she waited for Hera's answer. The Kami nodded to the overlord then assured her that she won't be corrupted, while Ina believed her she had to make sure that the corruption of her kin wasn't due to interacting with humans. She had a fair share turn from Kami to Youkai and that was due to the owner of the Kami pact being corrupted. Regardless she will allow her to stay with the young one. Ina held her hands out to the child then he felt a warmth growing around his chest as a bright light began to appear from the child's chest. The orb of light gracefully floated towards the overlord and when she tapped the orb of light it brought forth the contract known as the Writ of the Tengoku. The contract didn't take the form of a simple scroll, no it took on a item that represented a secret desire that the holder wanted. The light turned into a pair of gauntlets made of solid gold, decorated around the knuckles were glowing heavenly gemstones. The gauntlets represented the desire for power, Writ of the Tengoku took on a lot of forms like a person seeking knowledge the contract manifest itself as a book or a scroll, if its power then a weapon, if peace then a shield, and so on. The Kami overlord held out the gauntlets to the young shinobi. ”For your bravery against a fallen god, you are gifted with the Writ of the Tengoku which for you represents the desire for power. Wear the gloves young one and accept the chakra of the gods for you are blessed. Should you need aid, you may call upon Hera or any other of my angels so long as you have these. 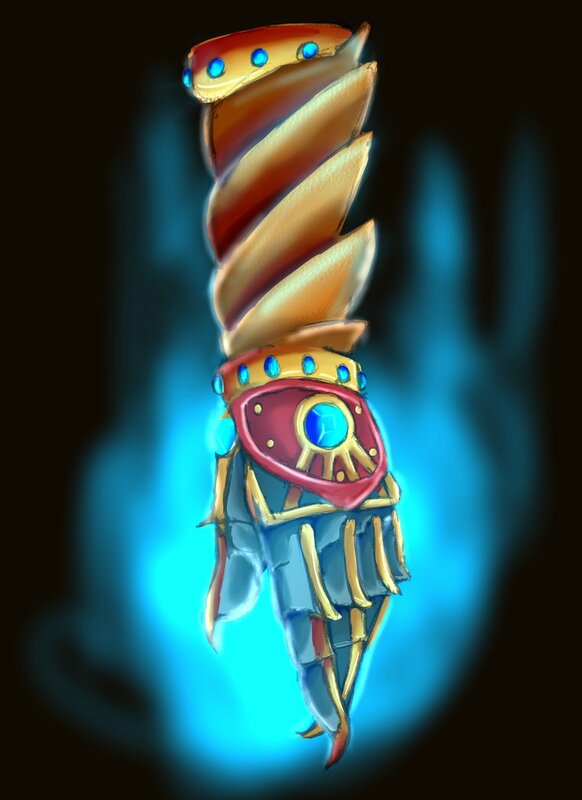 Are you sure that this is what you desire or do you desire something different, Ryoku Mortal of Fire Country?” Ina asked, patiently waiting on the young shinobi to accept the gauntlets, it would be able to be summoned when the time comes and if he learns the summoning technique these will always appear on his hands. Ryoku had to admit to himself that when he was coming up with all of those ideas for his reward, his requests were incredibly optimistic. He did not actually expect any of his requests to be granted. Then Hera spoke to him, saying that she was willing to teach him, and even provide him with a holy weapon. After offering this she looked over to Ina for approval. Ryoku also looked at her, curious at the events that were about to transpire. Was he about to be trained by a Kami? Not many people can say that they were given such an opportunity, and it would definitely help him gain the strength that he had been yearning for. Ina did not seem to object to Hera’s offer, but she did seem concerned with the possibility that Ryoku could potentially “corrupt” Hera. Ryoku looked towards Hera with a question floating in his mind. “Was Hope corrupted by a human?” It seemed almost unlikely, but also possible, given how much she hated humans. Hera seemed pretty confident that he would not corrupt her, so he let himself relax about the situation. He did not know how a Kami would be corrupted. Did Ryoku have to be evil for that to happen? To manipulate her into heinous acts. Into a twisted state of mind that caused her to justify impure actions? If that were the case, she had nothing to worry about. He did not have a negative bone in his body. His mind was innocent and his intentions were pure. Ina held her hands out towards Ryoku, causing a warm feeling to start growing in his chest. It was almost soothing. Ryoku looked down to see what was happening and noticed that his chest had begun glowing. What was happening? What are the Kami capable of? The light gradually grew brighter until an orb of light emerged from his chest. He steadily floated over to Ina, who then lightly tapped it, causing it to transform into a pair of golden gauntlets, adorned with light blue gemstones. The gauntlets were glowing and giving off a soothing aura, similar to the one that Hera had been emanating all day. This must be the holy weapon that they had offered. “Wow..” Ryoku muttered to himself as he began to walk closer to the gauntlets to get a better look. He observed them in awe and admired the design and the beauty of the gems that adorned them. “The Writ of Tengoku, huh? These are so cool.” When he got close enough, he reached out his hands to touch them. He hesitated for a second and looked over to Ina, who did not seem to oppose him reaching for them. When he touched them, they almost seemed to disintegrate into nothing, slightly startling Ryoku, who thought he had done something terribly wrong and broken the gauntlets somehow. That was until they slowly began to rematerialize on his hands. When the Writ of Tengoku had fully materialized on his hands, he clenched his fists and suddenly felt a wave of some kind of power wash over him. It was a soothing and beautiful aura that he had felt, and it was almost as if all of the injuries he had suffered from their encounter with Hope had been healed all at once. “Wow this feels amazing,” Ryoku said with a wide smile as he looked between Hera and Ina, too excited to really process anything but the gloves. Especially since he could apparently use the gauntlets to fight alongside Hera again. He had enjoyed his time with her and would love to fight by her side again. And he would even be able to summon other Kami. He could not help but wonder what other powerful Kami he would be able to meet after all of this. How much did they differ in appearance and power? Was Ina the most powerful one? How many of them would be willing to spar with him? How much did they have to teach him? The whole situation was somewhat overwhelming for Ryoku. He inhaled deeply and exhaled slowly in an attempt to calm and center himself. He turned to Ina and bowed deeply. “This is perfect, Ina-sama! Thank you for everything!” He said, his face still looking directly at the ground. After a short while in his deep bow, Ryoku straightened himself again and turned towards Hera, quickly returning down to his bowing position. “Hera-san! Thank you for offering to train me! I look forward to our time together and I guarantee that I will not disappoint in my progress!” He was very unsure of what a Kami would teach to a human, but the possibilities began to cause the excitement within him to swell up yet again. But of course the thought of her somehow teaching him how to fly was at the forefront of his hopes and dreams at this point. Was it possible? She said that they were not going to be able to give him wings, but that did not mean that all hope was lost right? ”Nah..” Ryoku thought to himself. ”Imma fly.” He had way too many thoughts running through his mind at any given time for all of them to always be reasonable. He was still a child after all. A child that now had a goddess training him to become more powerful. Once again, Ryoku could not wait to brag to Jun when he finally returned home from this exciting adventure. He could guarantee that Jun's day off was not nearly as interesting. At the most, he probably spent his day training in order to compensate for the fact that Ryoku was being trained by the Former Main Branch Sennin, due to his competitive nature. Once he found out that Ryoku is also training under an angelic being from another realm, he was going to freak out. Something that Ryoku would get a kick out of witnessing. Ryoku straightened his back and gave Hera a determined look, so that she would know that he meant business. Ina smiled, the boy was without a doubt worthy so with the price being paid power was his. With the pact between the child and Hera fulfilled, Ina began to float upwards, smiling downwards as she went back to her home in the clouds. 'With our pact completed, your name is now in the book of life. Should you stay on the path of righteousness you'll be able to join me and the other gods in the afterlife. We have a golden mansion and a wonderful garden just waiting for you on the other side. Stay pure, don't lose hope, follow your dreams, and never make a deal with someone from the abyss. Live on the path of good and you will join us as one of our angels…. Farewell Young Shinobi.” she was beginning to fade into gold but before she did she gave Hera's Lance to her since the lance wasn't exactly near the base of the tree but buried beneath the tree. Oh! I'll give you your weapon Hera, it's kinda underground and would hate for you to get filthy after you aided us in getting rid of the 'Bad Apple’ stay strong and learn. and with that she vanished in a puff of golden holy chakra that fell to the ground like snowflakes. When the holy chakra fell to the earth, it almost seemed like when Ina left that nothing would happen… but then in the center of the crater from the battle began to glow with a holy light and Hera knowing what it was had been drawn in like a moth to a flame to reach her hands out and as she did the holy energy began to take the form of a weapon. A shimmering spear that looked brand new, never growing old, never dulling, and it was casting a faint light. Hera return to the child with then smiled shifting her lance to her left hand so she could use the right one to ruffle the boys hair. 'Well, let's hurry out of here. I think we should go to the side of the forest that isn't dangerous. While we head out, I'll tell you a little bit more about myself and help you with if you really want to fly. Depending on what you already are, flying shouldn't be an issue.’ and with that the two story will go on. Whether the boy had actually chosen Hera to be his guardian angel or another Kami up until this point was unknown but she was willing to teach the boy all she has to teach…. Hope was suddenly pulled from hell then fell within a Forest, she didn't know how long she's been there. Years was more like it, 30 years in fact. A mysterious man scratched his head. 'You can help. Besides I need more followers if you're interested…. Ryoku smiled widely at Ina and waved as she departed. “Thanks for everything Ina-sama!” he called out to her. He was no longer astonished at the fact that she disappeared in a burst of bright light, or the fact that Hera’s lance materialized out of basically nothing. The amazing feats of the Kami were becoming rather normal considering the events that transpired that day. As he followed Hera to the forest’s exit, Ryoku looked down at the ornate gauntlets that now adorned his fists with a rather inquisitive expression, wondering how to make them dematerialize. He went to remove one of them, but before he was even able to move more than an entire inch, both of the gloves vanished entirely from his hands. “Wow,” he muttered to himself, a large goofy grin crawling its way across his face. All he had to do was think them away and they would dematerialize. He was going to have fun with that. He tried to make them reappear on his hands, but apparently it wasn’t as simple as thinking it into existence this time. Hera began to giggle slightly, giving away that she noticed Ryoku struggling to figure out how to use the gauntlets. “Yeah it’ll take a little bit of practice,” Ryoku said, followed by a quick chuckle. As they exited the forest, the two shared parting words. Hera promised him that she would see him again very soon and that she would help him gain the strength he sought. As he walked home, he could only feel excitement for his newfound friendship.